Product categories of Cable Conveyors, we are specialized manufacturers from China, Cable Conveyors, Cable Conveying Machine suppliers/factory, wholesale high-quality products of Conductor Conveyor R & D and manufacturing, we have the perfect after-sales service and technical support. Look forward to your cooperation! Cable Conveyors of various types including German and Domestic Cable Conveyor ,Cable Conveying Machine,Cable Transmission Machine.Conductor Conveyor,which is specially used for conveying and transmissing cable,conductor or OPGW in power line project.It is with reasonable volume,light weight,easy to operate.By high quality material and good design(the cable diameter can range from 12mm till 180mm,and no damage to cable),this kind of Cable Conveying Machine can be durable and long service life.we are a professional Chinese exporter of Conductor Conveyor and we are looking forward to your cooperation. 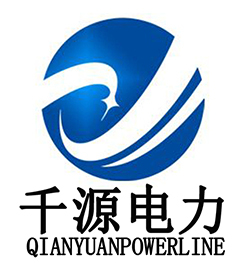 Yangzhou Qianyuan Electric Equipment Manufacturing & Trade Co. Ltd is specialized in manufacturing and trade of electric power line transmission tools. Our main products are Anti-Twisting Steel Wire Rope,Stringing Pulley,Hydraulic Crimping Compressors,Engine Powered Winch,Motorised Winch,Wire Grip,Gin Pole, Cable Stand ,Mesh Sock Grips,Cable Conveyor,Lever Chain Hoists and so on,which are mainly supplied to power companies,railroad companies and other industry fields.All our products are certified by China National Institute.